Rah_change_passwords is a Textpattern plugin that allows Publishers to freely change any user’s password and resetting login sessions directly from the Users panel. The main difference to Textpattern CMS’ built in password resetting feature is that you as a Publisher, and the site’s main administrator, can change any user’s passwords to anything you want. As such, users do not need to receive emails containing automatically generated passwords or do password restoring themselves. Rah_change_passwords’ installation follows the standard plugin installation steps. Rah_change_password will add extra options to the Users panel’s editor. 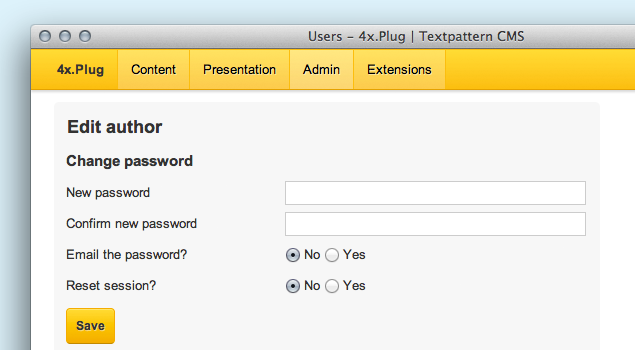 When logged in with a Publisher account, you will see options to change the password when editing any user account. These added extra options include a way to reset login sessions, to change and optionally email passwords. Added: Support links to the help file. Added: autocomplete="off" to the inputs too. 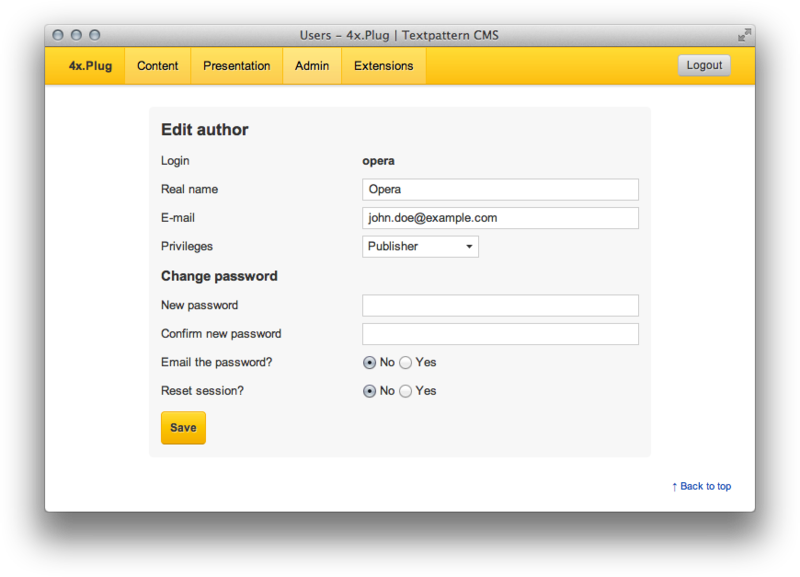 Added: Disabled password autocompletion by adding autocomplete="off" to the form. Added PHPass support while keeping compatibility with older TXP versions (v4.3.0 and older). Now checks that the database update was successful before sending email.